So that's one of my favourite month's been and gone - and what a great one it was! 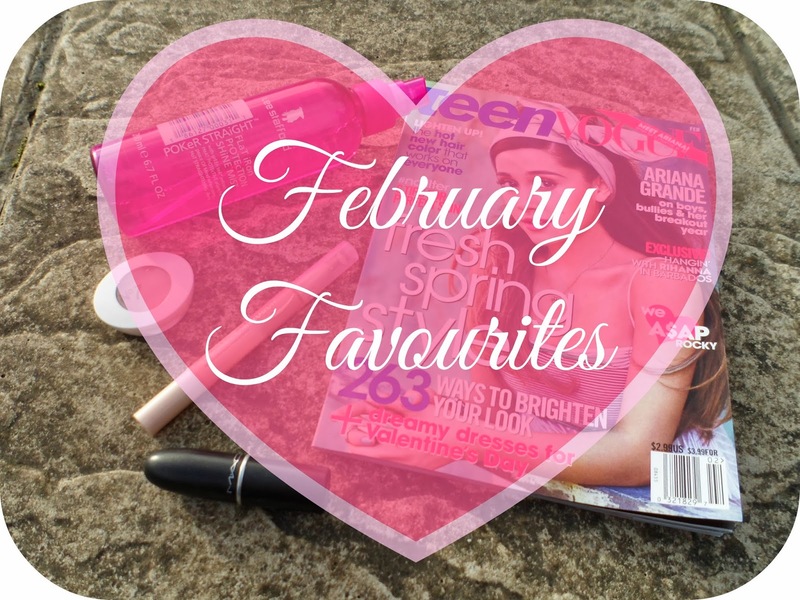 And with another month done comes another favourites post! All those things I have been lovely in those 28 days that are February! First up .... a Lee Stafford product! What a surprise! We all know I love myself a bit of Lee and this is a product I've owned for ages! This month I have been loving it, with my birthday and a few other occasions I have been using heat more than usual so this Flat Iron Protection Shine Mist has been used more than a few times! I always use a heat protectant and this has got to be my favourite that I've tried out! Not only does it smell yummy but it gives a great shine and finish when drying and styling my hair - top marks LS! A concealer now and this is the Maybelline Dream Lumi Touch Highlighting Concealer! This is actually the first highlighting concealer I've tried and I'm really enjoying it! I've been using this on days where my bags aren't too bad so I can get away with not using my Seventeen Pwhoarr paint! I love the twist action bottom to help dispense the product and it blends into the skin really well! Fab new discovery for me! Next is the February Issue of Teen Vogue! I was lucky enough to be sent this by my wonderful friend Meghan who lives in Florida (and it arrived of my birthday which was even more exciting!). She knows how much I love Ariana Grande so managed to get me a copy of this and sent it over that big old pond- she's so thoughtful! I know it's called "teen" vogue but I couldn't care less - I'm 24 and still love it! Some great fashion and beauty features and of course I love the interview and pictorial with Ariana - she is such a babe! No7's Eyeshadow Primer/Base. I got this stuff a while ago when there was No7 free gift deal on (I did do a post on it!) but it is just only recently I have turned to using this alot! I love the pinky shade it gives the lids and it works so well as a primer/base - especially as I have been using the pink based shades in my Stila palette alot recently! This is one of the lipsticks I got for my birthday.... and I am a tiny bit obsessed! Mac's Girl About Town has got to be my favourite pink lipstick I own! The colour is the perfect pink for me , it is fab! I did a whole post on this beauty, so if you want to see and/or read more I will link it right... about... - here! I'd been looking at starting Orange Is The New Black for a while and when I had a few days off work together this month and with the weather being pants I thought I would go ahead and check out the Pilot episode! It is safe to say that after that first episode I was totally and utterly hooked! I normally know within the first episode or two weather I'm going to enjoy a TV series and this was a definite thumbs up from me! I actually ended up finishing season 1 in less than 3 days! I know... some major commitment right there but I just couldn't stop! I love this show - it is funny, shocking and really well written - I literally cannot wait for season 2 to come out later on this year! 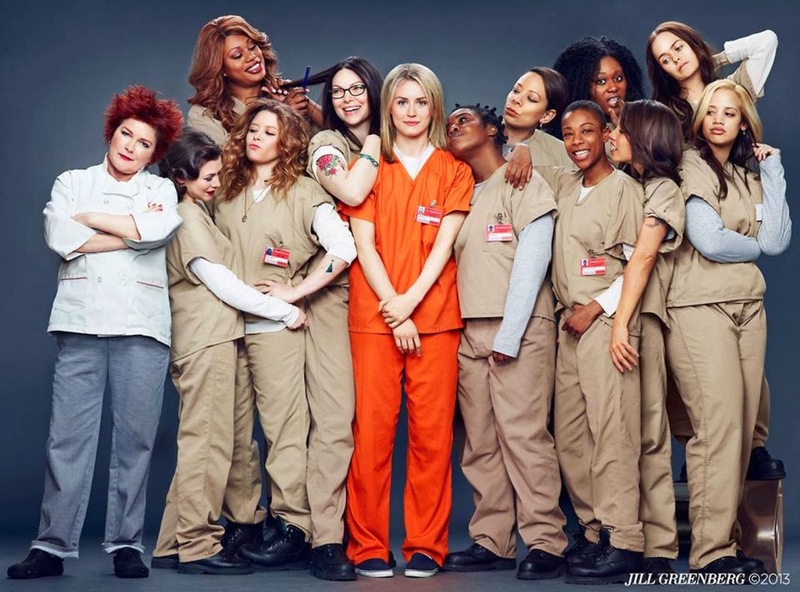 Have you tried any of these products or watched OITNB?! Any TV shows on Netflix I need to watch? I'm currently watching The Killing! You're soo lucky you got to see Taylor Swift, I'm obsessed with her right now! Was she amazing?! Been dying to try out 'Girl About Town' for ages, it does look like the ultimate pink! Oh and there's definitely no cut off age for Teen Vogue!